David Habib is a software consultant who has been focused exclusively on the nonprofit sector since 2000, where he has provided program management and software engineering for database and web based applications for nonprofits. Currently, David is a Lead Member of Technical Staff for Salesforce.org (formerly the Salesforce Foundation) working on the Nonprofit Success Pack. David is focused on creating applications on the Salesforce platform that are free for nonprofits. This includes the popular Volunteers for Salesforce and Auctions for Salesforce applications. He is a partner in Social Venture Partners, and has found many of his past projects through investees of SVP. Nonprofits he’s worked with in the greater Seattle area include Youth Eastside Services, Child Care Resources, New Futures, Climate Solutions, Housing Resource Group, Seattle SCORES, Social Venture Partners, Groundwire, and many others. From 2009 – 2012, David was doing database consulting at Groundwire, an environmental non-profit which provides database development, web development, and marketing strategy to environmental non-profits throughout the country. Prior to 2000, David was a senior software design engineer and development manager at Microsoft Corporation, where he has worked on Windows, applications, and development tools. He was a technical development lead on the first two versions of the Microsoft Access database management system, and also was a development lead and development manager in Visual Studio, working on graphic design tools for web and database development. 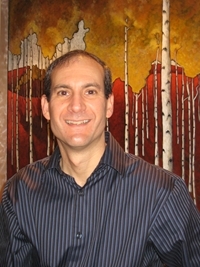 David has a Bachelor of Science in Computer Science from the University of Washington.